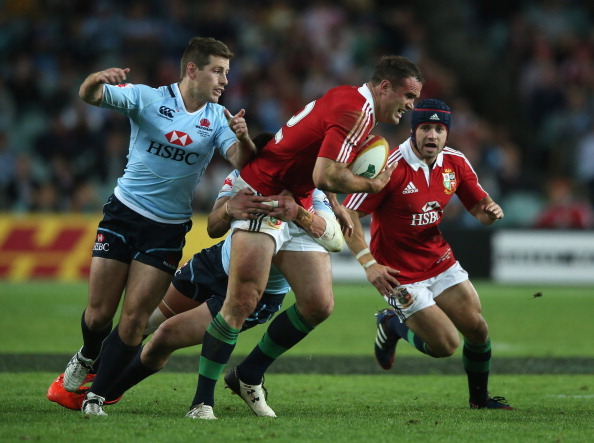 THE LIONS recorded their fifth victory of the tour with a 47-17 win over a depleted, yet competitive, Waratahs team. But whilst the margin of victory was similar to that of the previous four matches, the execution was very different. This was a structured performance, partly due to the improved quality of the opposition, partly due to the fact that this was the last dress rehearsal for the test probables. The Lions secured 57% possession and 59% of the territory. The Lions’ scrum was once again of the required standard and contributed to a continuous supply of quality possession – which allowed Jamie Roberts to run attritional lines and Jon Davies to execute an intricate passing game. Leigh Halfpenny’s goal kicking was once again legitimately world-class and Tom Croft’s ball carrying has swung the ‘six’ debate in his favour. But whilst the statistics and player performances were important, it was the structured manner of the victory that matters most. Structured game plans consistently win test matches and that is all that matters from this point on. 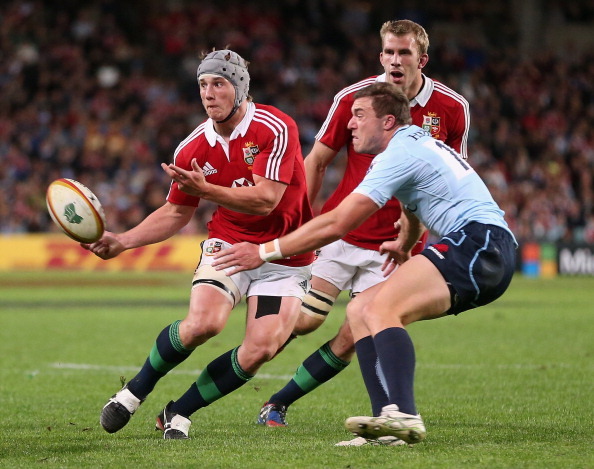 Jon Davies played one of the finest games of his career against the Waratahs. He made more clean breaks than any player, on either team, and carried the ball 141 metres. One hundred and forty one metres with ball in hand is an incredible number for a centre. You’d expect that figure from wings or fullbacks who benefit from cheap yardage gains while returning deep kicks, but every one of Davies’s yards was a result of direct running lines and tireless support play. But whilst Davies’s running game wasn’t overly surprising (it’s one of his key strengths) his passing game was, and this is an aspect of his game that has improved enormously over the past year. Often standing at second receiver Davies completed 15 passes, 3 of which directly contributed to tries – Jonathan Sexton only completed 13 passes in his 50 minute stint at fly-half. Whilst O’Driscoll is currently the holder of the Lions 13 test shirt, Davies isn’t far behind and may well be asked to take the 12 shirt in Roberts’ likely absence on Saturday. Much of the attention from Saturday’s game will focus on Tom Croft – and rightly so. 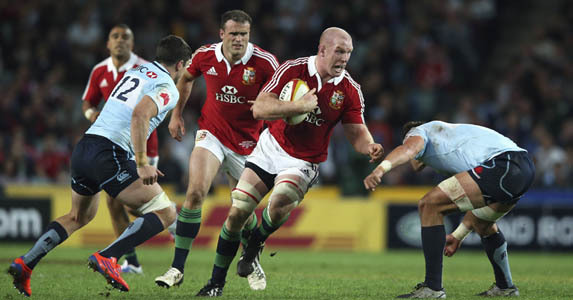 It was an eye-catching performance consisting of solid defence in the narrow channels, effective lineout work and a trademark break in the wide channels – which will undoubtedly end up on the trailer for the 2013 Lions Tour DVD. However there were two Lions’ performances which won’t feature on that DVD, but were of equal importance. Paul O’Connell and Alun-Wyn Jones put in Leonine performances. Both tirelessly hit rucks and made the ‘heavy’ two and three yard carries that create space out wide for the more agile carriers to make 15 yard gains. Jones was particularly impressive in that he managed to maintain his level of performance for 80 minutes – it was Jones who tracked back in the 80th minute and stole the Waratahs ball as it came free from a ruck. Alun-Wyn Jones and Paul O’Connell may not feature much on the Lions’ highlight-reel, but they will feature heavily next Saturday as key men. There have been numerous high profile injuries on the tour. Gethin Jenkins and Cian Healy’s early departures will have both given Warren Gatland cause for concern. However Jamie Roberts’s injury in the 68th minute will have given Gatland cause for a big swig of Australian Shiraz. Roberts has always been at the core of Gatland’s game plan, for Wales and now the Lions, and he is the strike runner around which the majority of phases are planned. Roberts’s ability to demolish the oppositions outside half and demand extra defensive cover from their backrow is how Gatland creates space in the wider channels. Jamie Roberts leads the kick chase, the defensive line and the blitz is far more effective when he plays – he made more tackles against the Waratahs than any back on either team. Roberts ‘holds’ defenders like no-one else as he showed when the Waratahs inside centre and blindside were glued to his decoy run – leaving Jon Davies and Simon Zebo a try scoring opportunity in the first minute. But Roberts doesn’t just affect the Lions game-plan, he also influences the opposition’s game-plan too – when defending a lineout the Tahs often moved their blindside into the ten channel and their ten into the five metre channel. There is no doubt that Jamie Roberts would have similar impact on Robbie Deans’s game plan too. You rarely witness players that are happy being substituted – unless you’re watching a game of second team rugby where a grateful prop is crawling off the pitch carrying his lungs. However, when seven Lions left the field after a 58 minute stint against the Tahs they looked delighted. And so they should be. These weren’t purely tactical substitutions and they weren’t injured individuals leaving the field to be wrapped in ice – in fact they were being wrapped in cotton wool. These were players who are assured of being selected in the first Lions Test squad. Of course there is no guarantee that these players will start the Tests – but they will certainly be part of the 23. Keep an eye on their faces if they get yanked after 58 minutes against the Wallabies and you will see a very different reaction.